Her advice contains a number of “Main Modifications” that are still needed to make the Council’s plan “sound”. As things stand, the Inspector concludes that the council is not meeting its 5 year housing land supply – this is dangerous as it weakens the ability of the council to turn down planning applications that would otherwise be inappropriate development. Bramcote has already suffered from this in the recent past with regard to the planning application for the former Golf Course. She suggests an increase in the number of windfall sites to rectify the shortfall – but makes no comment on the reasonableness of the overall housing target of 6150 over the whole plan period of 2014- 2028. As a result of a Michael Gove’s decision to scrap the Schools of the Future policy back in 2010 (a decision he is on record as regretting) Bramcote is paying a heavy price in terms of losing green belt in order to generate funds for a replacement school building. The Inspector points out that the Council has misinterpreted national policy when it comes to the very special circumstances needed to allow change of land use in the green belt but welcomes the development of sport and recreation facilities, noting their undoubted health benefits. One of the topics that was aired during the hearings was Broxtowe’s policy that 5% of plots on large developments should be left for self build. The Housebuilders Federation commented on the disadvantages of such a policy. The Forum felt that this was unnecessary and the Inspector has advised that this policy is removed. Overall the Inspector has made a relatively small number of comments and there is every reason to think the Council’s planning officers will reply swiftly and effectively to her advice. The Council now has until 5 May to respond to the Inspector’s advice. After this there will need to be a six week consultation on the main modifications to Part 2. Only after that can the Council vote to adopt Part 2. That will be down to the Councillors elected in May’s elections. And then the whole cycle starts again with a review of the Aligned Core Strategy – and a chance to revisit that target of 6150 homes. 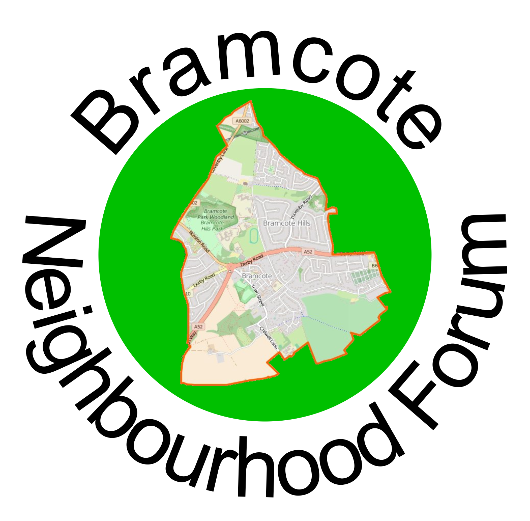 The Bramcote Neighbourhood Forum will continue to liaise with the Council as we move closer to submitting our Neighbourhood Plan to the Council. However, the long delay in finalising the Local Plan is most disappointing. Next Are you a carer or diagnosed with dementia? Sadly there is nothing mentioning Stapleford at all, several of us have worked very hard for a long time putting the Stapleford Neighbourhood Plan together. It was always fully supported by ALL the Stapleford Town Councillors. Unfortunately the Broxtowe Borough Council Part 2 Local Plan has put forward more Greenbelt in Stapleford for development, up Coventry Lane and around the back of the Crematorium(yes that’s also in Stapleford). So when people knock on your door asking for your vote ask them how did they vote for the Local Plan Part 2, I can tell you I was the only Stapleford Councillor who voted against it. So those that supported it also supported giving up more of the Greenbelt for future development. Sadly those Councillors who sit on Stapleford Town Council and supported the Stapleford Neighbourhood Plan which put forward to protect the Greenbelt then voted differently at Broxtowe Borough Council. If I have supported something at Stapleford Town Council i have done the same at Broxtowe Borough Council, sadly not everyone can say this. All Liberal Democrats voted against. Also not to forget that Councillor Chris Rice and Councillor John McGrath both abstained. But ALL the other Stapleford and Bramcote Councillors supported it. What you say may be true for Stapleford. In Bramcote the situation is more complicated. The coalition government scrapped the Schools for the future fund just as Notts schools were due to be funded. Our school then chose to leave County control but was soon left with liabilities it could not live up to. The Bramcote Neighbourhood Forum consulted bramcote residents and there is strong support to swallow the bitter pill off losing green belt if the funds go towards paying for a replacement school building AND a replacement leisure centre IN Bramcote. I think the new council will have some stark decisions to make in its first few months. I’d be interested to know whether Bramcote Neighbourhood Forum consulted ALL Bramcote residents or merely the membership of the Bramcote Neighbourhood Forum. All Bramcote residents were hand delivered hard copies of the draft Neighbourhood Plan. In a couple of cases large font size versions were requested, and provided. That might well be true,. However merely delivering a copy does not strike me as being the same as a consultation of Bramcote residents. We held public meetings, sent out emails, put a link on to Bramcote Today, gave updates at CAT meetings, took feedback both in hard copy and online… and received over 200 responses. All of these were open to ALL Bramcote residents, whether members of the Forum or not. These will all be passed on to the Council.